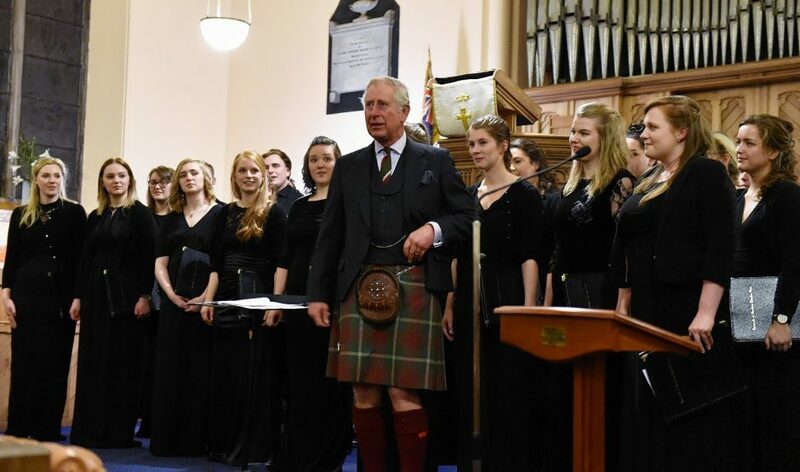 The Prince Charles, Duke of Rothesay and The Dutchess of Rothesay, attended a performance of Robert Burns poetry with music by Professor Paul Mealor and the Aberdeen University Chamber Choir, at Glenmuick Church, Church Square, Ballater. Pictures by Colin Rennie. 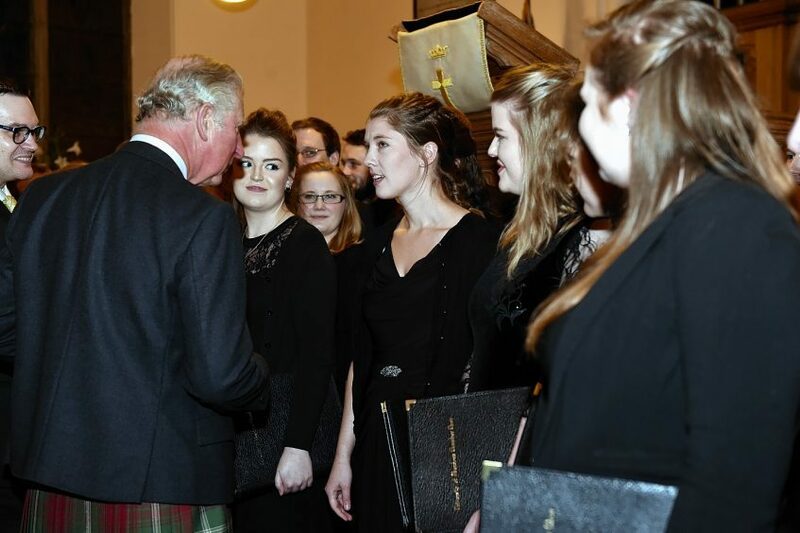 His Royal Highness Prince Charles paid tribute to the “remarkably resilient and courageous” people of Ballater at a special concert last night which marked the launch of a fundraising album to support the victims of Storm Frank. 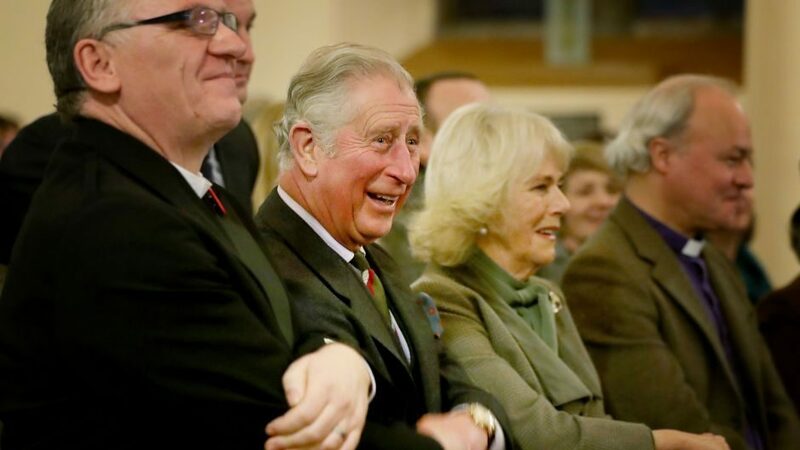 The Duke and Duchess of Rothesay were the guests of honour at the Glenmuick Church show in the heart of the Deeside village, which was so badly affected by last year’s deluge. 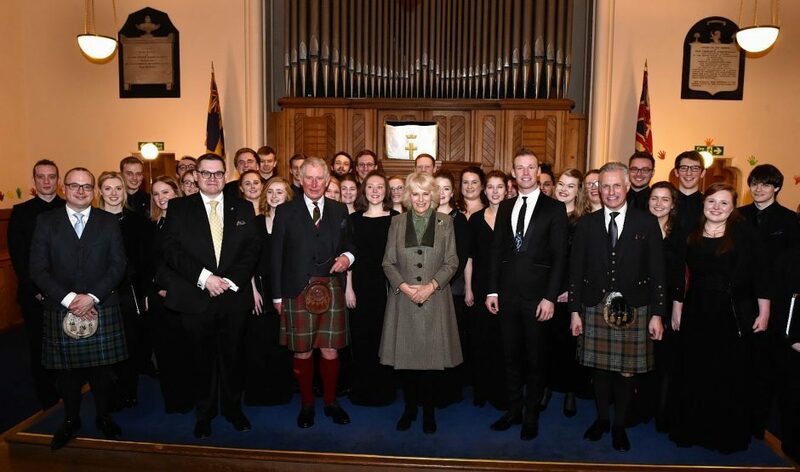 The royal couple joined hundreds of Ballater residents to enjoy the premier of Immortal Memory, a breathtaking collection of music by the University of Aberdeen Chamber Choir, directed by composer Paul Mealor. 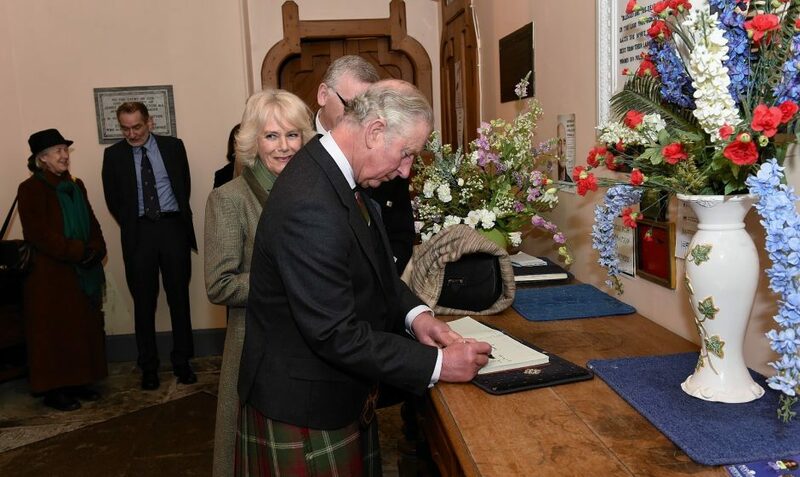 The Aberdeen University professor’s music has previously been performed at the Royal Wedding of Prince William and Kate Middleton. 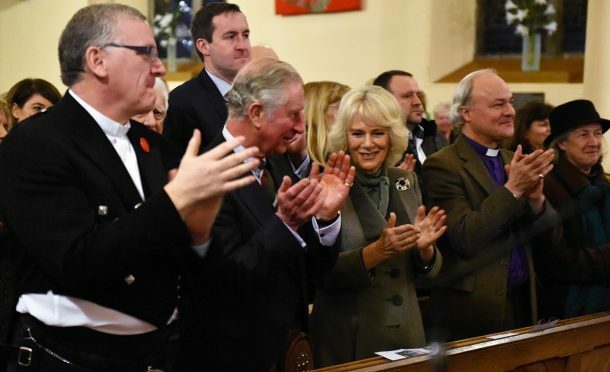 The CD contains choral performances of some of the greatest writings of Scotland’s national bard, Robert Burns, and all proceeds from its sales will go towards projects established in the village by the Duke and Duchess. Both of them have taken an active effort in assisting the community’s exertions to recover from the severe floods of early 2016, which left many hundreds of people homeless and businesses in ruins. 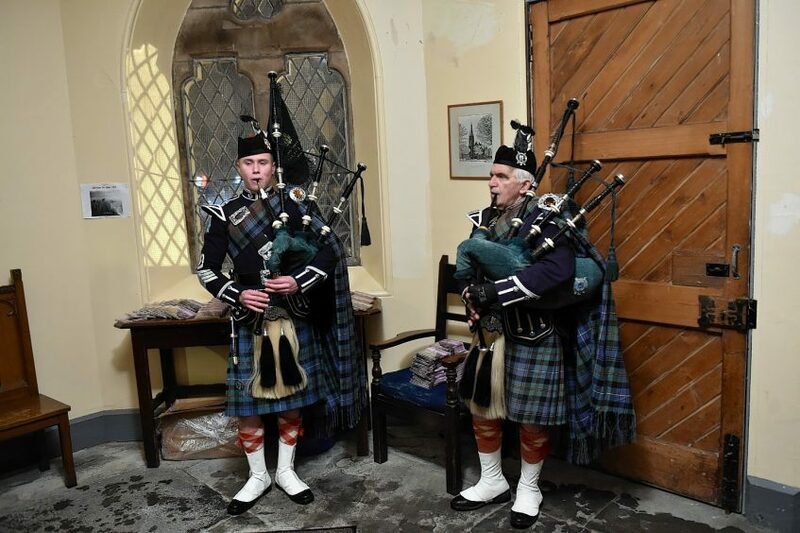 Yesterday’s performance by the university choir, led by Mr Mealor and compere Robert Lovie, filled the historic Glenmuick Church with song and laughter, with highlights including a soaring rendition of My Love is Like a Red, Red Rose and a very special reading of To A Haggis. 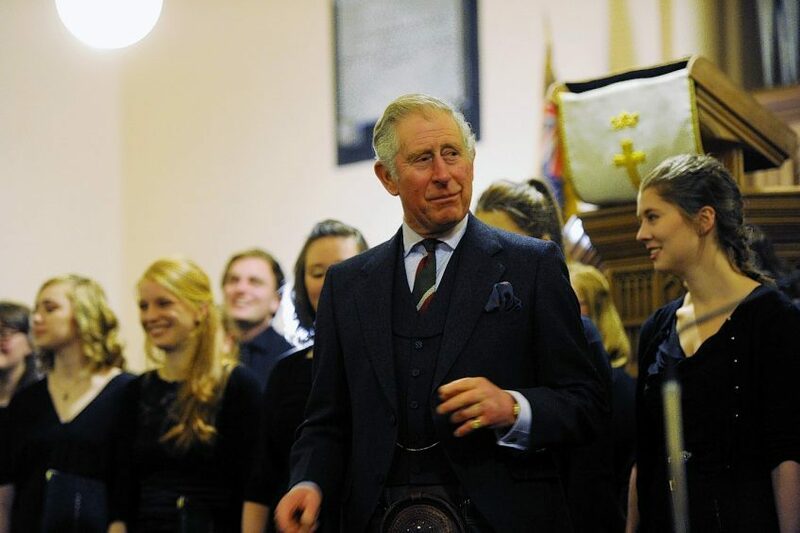 And, just before the final song, a stirring rendition of Auld Lang Syne, Prince Charles stood before the choir to address the people of Ballater, many of whom are still displaced from their homes a year on from the devastation which was wreaked by Storm Frank. “Reverend David Barr is a very special feature here in Ballater. “It was only a year ago when my wife and I came here, following the awful floods, and it was incredible to see how he had made such an enormous difference to so many people’s lives who were having such a terrible time – as you all remember too well. “His contribution has been quite remarkable. So many of you have been through this terrible time, and many of your houses are still not back together again. “I can never get over how remarkably resilient and courageous you all are for what you have had to put up with, and the way you have overcome these terrible challenges which have been thrown at you. “It is a very special place, Ballater, and it has been wonderful to see how so many of the shops have been able to get back to trading again. “And let us hope, ladies and gentlemen, that, from now on, things will greatly improve. Immortal Memory by the University of Aberdeen Chamber Choir will be available in selected record stores and available for digital download on Amazon and iTunes from January 20 through Aberdeen University’s own record label Vox Regis.